The New Craftsmen approached Claire to design and develop a capsule collection of lighting because of her commercial understanding of the lighting market and her sensitivity to the hand-crafted process. 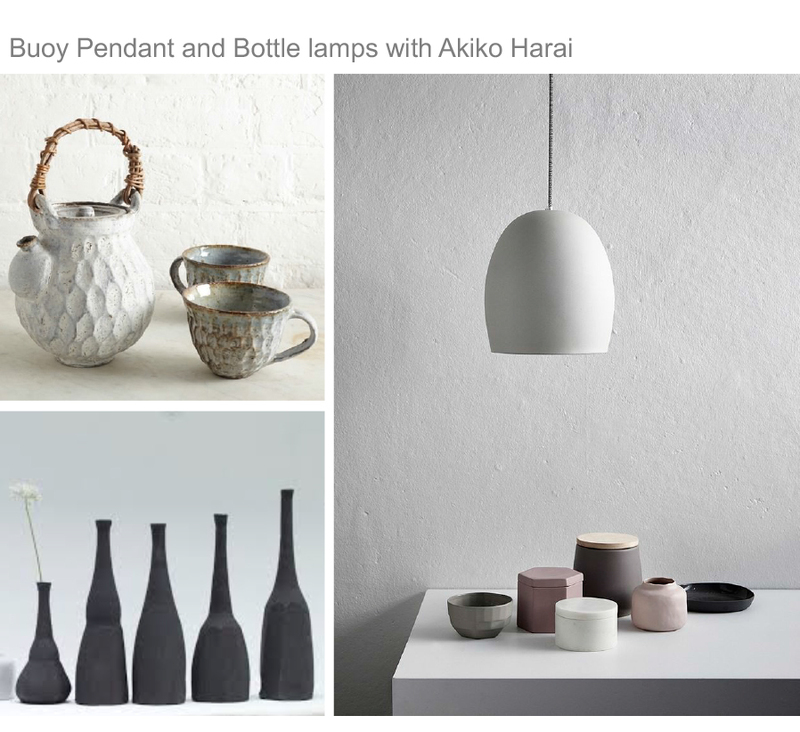 Claire chose to work with ceramicist Akiko Harai and weaver Catarina Riccabona to design two statement pendants which celebrate the skills of these makers. As well as designing the products, Claire became the communicator and established a close working relationship between the makers and Tyson lighting to realise the designs through to production. The following images show the development of this collaborative process.